celebrating my heritage at screwtop! I am a little bit behind with this blog! I generally try to post in chronological order, but if I did that, I would have to catch up on five entries before arriving at last night. 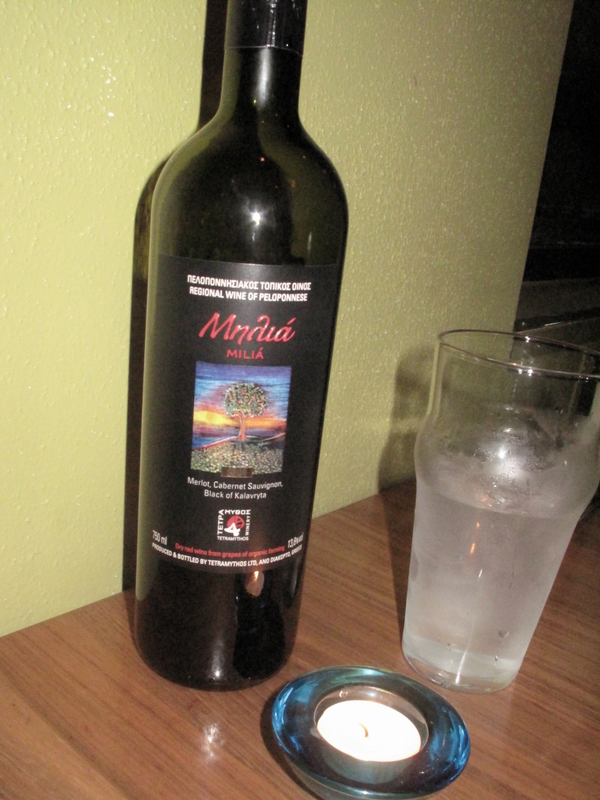 Therefore, I am skipping ahead for a brief post on Greek month at Screwtop Wine Bar! Let’s keep the Greek theme going! We also tried a special this month, the Greek nachos! A lot of times I tend towards the more girly foods at Screwtop, so I’m glad we found a meaty snack that we were both excited about. 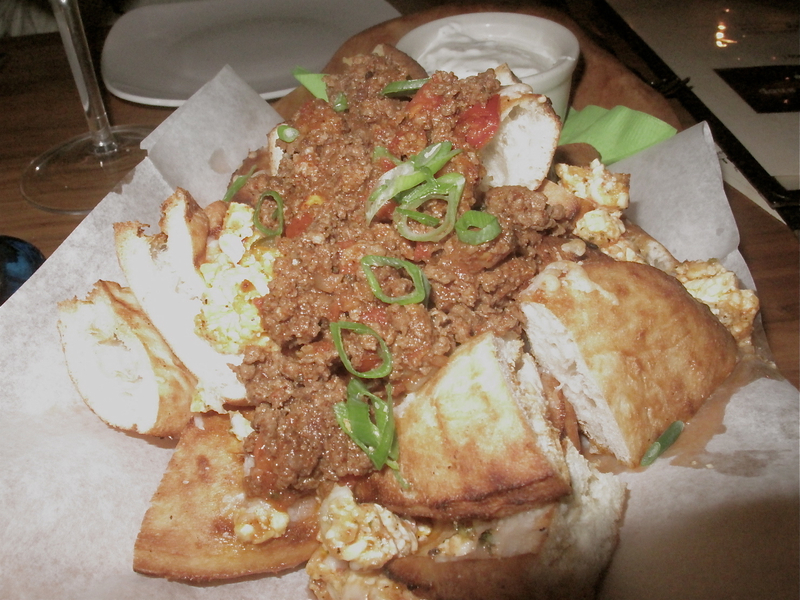 These “nachos” were actually mini pitas that you could load with spicy lamb chili, feta, and green onions. Then, you could dip the whole lovely mess in Tzatziki sauce! WOW, we might have to go back again soon before this goes away! Chris was especially excited about the dessert we ordered… it was all of his favorite things combined! The Prohibition Pecan Cake included chocolate cake (a “decadent” chocolate cake), Bourbon, bacon, and pecans. Incredible! 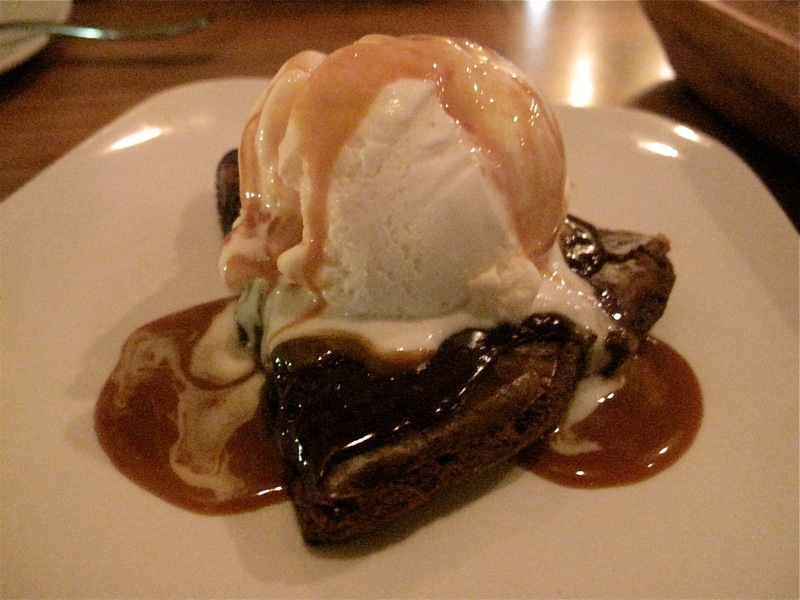 It tasted like a glorified brownie sundae. So it’s only natural that Paparazzi would get a blog post at some point. :) The occasion this time was that Chris’ dad and uncle were in town. As expected, we all definitely enjoyed the meal! We started out with the Calamari Con Fritti appetizer, which is a favorite for Chris. The jalapeños involved were a nice touch! I was excited to learn that Uncle K shares my interest in Italian arrabiata sauce. He actually ordered a pizza with arrabiata sauce! We hadn’t heard of that combination before, but it proved to be very yummy. I also went spicy, and here is my Penne All’ Arrabiata (“pasta quills with browned garlic, virgin olive oil and white wine in a spicy pomodoro sauce”). The wine turned out to be a great choice. We went with a Poggio d’Elsa Cabernet Sauvignon/Sangiovese. I’ve had those grapes separately so many times, but this may have been a first for me to try them as a blend! I am definitely a fan. This is a huge and unfair generalization, but at least for me, basic cheaper Italian wines (like most basic cheaper Old World wines) often seem to be more medium-bodied, with flavors that are further brought out only when you’re eating the right food. 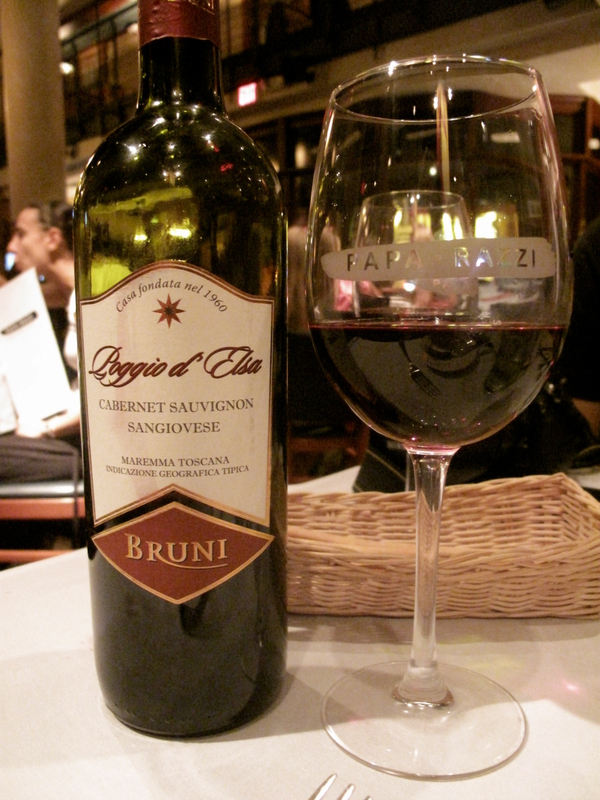 For instance, I find that cheaper Chianti wine is mediocre when alone, but it comes to life with Parmesan cheese. Anyway, my point is that the blend of Cabernet Sauvignon with Sangiovese made for a surprisingly bold Italian wine on its own… for a very reasonable price! No complaints here, Paparazzi. 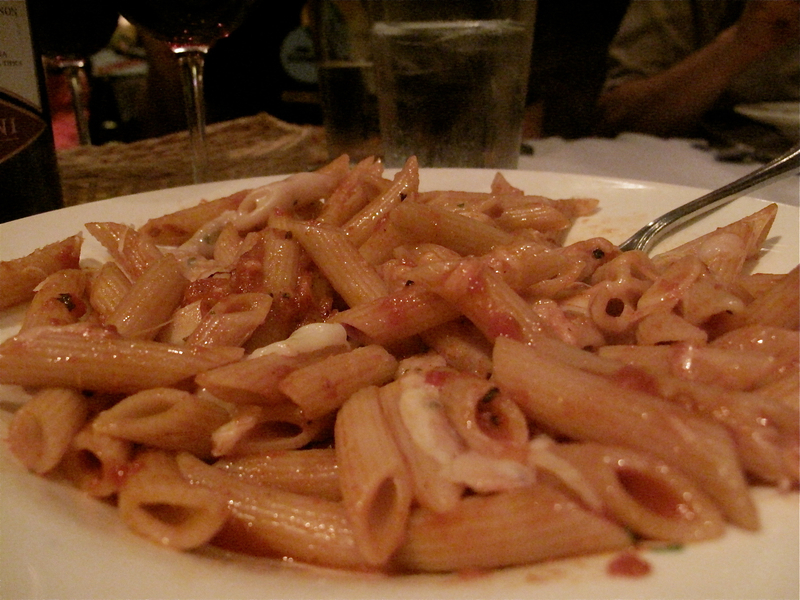 You know we’ll be returning to you for more special moments when we are craving solid Italian cuisine. 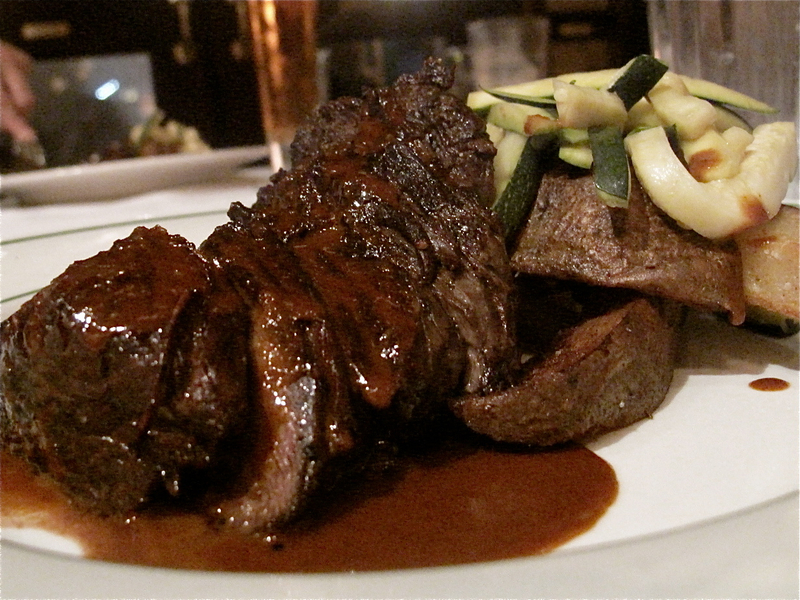 A few weeks ago, we were invited to Smith & Wollensky by some friends for DC Restaurant Week. We knew dinner would be a fun adventure, because a) Our friends are fun – of course, b) You never know what to expect with Restaurant Week menus, and c) We probably wouldn’t have have thought to pick Smith & Wollensky, so it was good to try something outside our normal sphere of interest! Honestly, all I knew of Smith & Wollensky going into the dinner was that it appeared in the 2006 movie Devil Wears Prada. If you don’t know how DC Restaurant Week works, you get to have a three-course meal (one appetizer, entrée, and dessert) from a fixed menu – all for $35.11. (Lunch is $20.11.) For my first course, I chose the Creamy 5-Onion Soup. 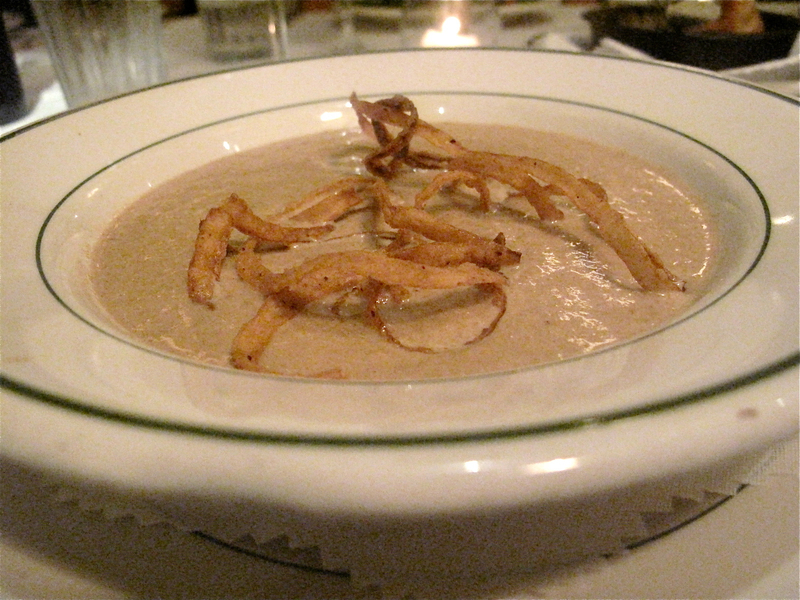 I honestly don’t think I’ve ever had an onion soup I didn’t like, and this one was no different! 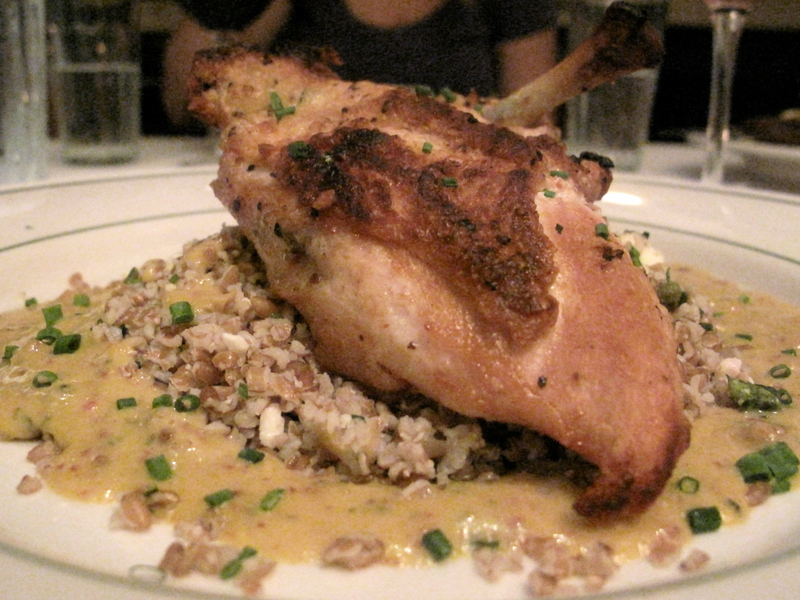 The entrees were fine… not incredibly memorable, but definitely satisfying. The dessert choices were: Old School Tapioca Pudding (I don’t think I’m a tapioca fan!) or Orange Creamsicle Cheesecake (intriguing). Kimberly ordered a “slice” of chocolate cake in addition, and that was heavenly. The highlight of the night for me was the wine a few of us shared! 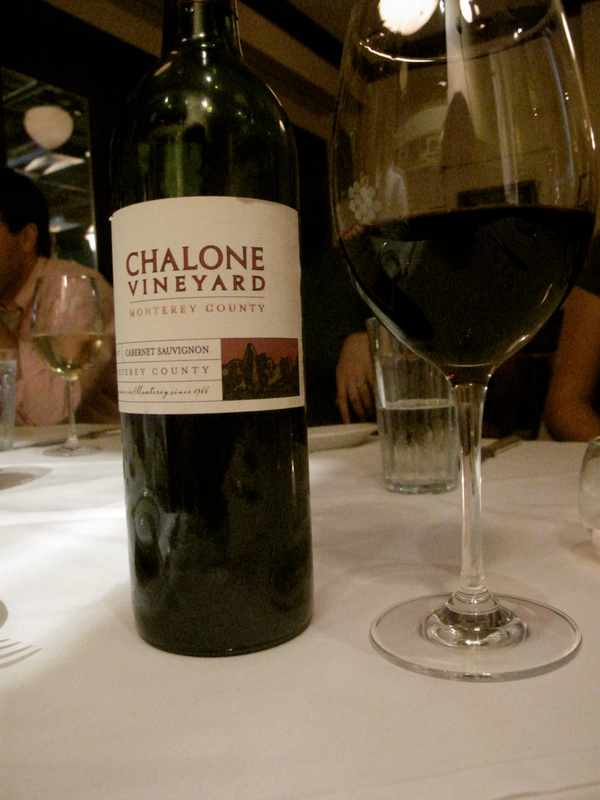 A 2007 Chalone Vineyard Cabernet Sauvignon from Monterey County. It was so interesting and smooth, and we decided it tasted like black currant and raspberries. It was delicious with all of our dishes, and really made the meal for me! 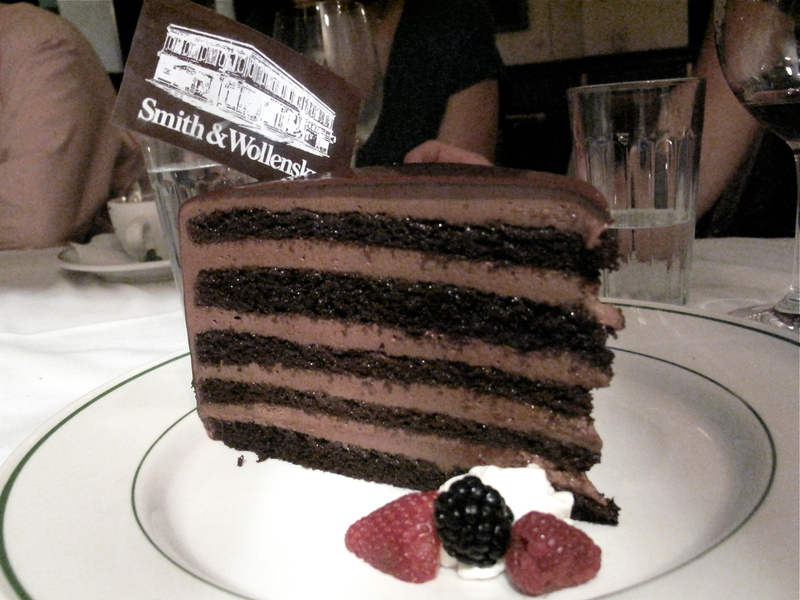 I’m not sure if I have much else to say about Smith & Wollensky. It was a fun night out in the city with friends! I probably wouldn’t put it on a must-go-back-as-soon-as-possible list. Thanks for a lovely evening though, S & W!